EnviroSmart Events is REROC’s sustainable events project. The aim of the project is to encourage councils and community groups to hold sustainable events which cover recycling, organics, water and energy. In March 2011 REROC and Wagga Wagga City Council worked with Wollundry Rotary on the Food & Wine Festival by providing 12 recycling bins, portable water refill station and 1,000 compostable bowls and cutlery sets for selected stallholders to trial. 6,000 people attended the event and 1.75 tonnes of recycled materials with almost no contamination was collected. 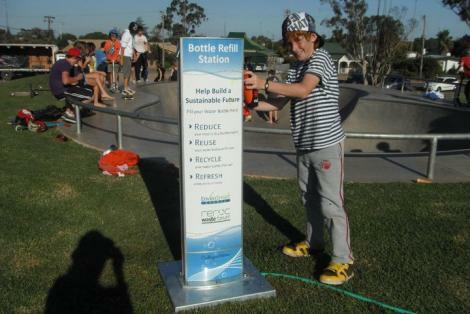 REROC has 12 recycling bins and a portable filtered water refill station which are available to member councils for use at member council community events.